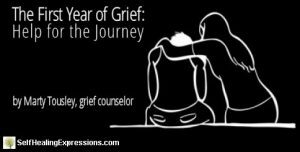 The First Year of Grief: Help for the Journey by Marty Tousley, grief counselor. This well regarded course is designed for those struggling with grief. 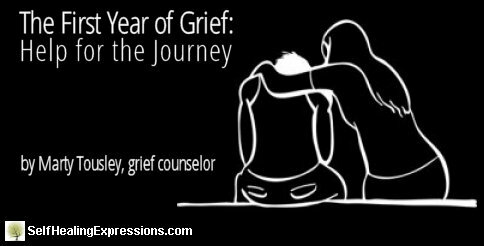 Many people have emailed us to request our well-regarded online grief course, The First Year of Grief: Help for the Journey, by nationally certified grief counselor Marty Tousley. We have decided to bring this course back and are in the process of updating and uploading it to a newer course delivery system. This course was the first of its kind and has helped thousands of people struggling with grief navigate this challenging journey since 2001. And all in the privacy and comfort of their own homes. We are working as fast as we can to make this course available again. We realize the need is great for those of you writing in. In short, we love and respect your privacy and will not share your information with others.